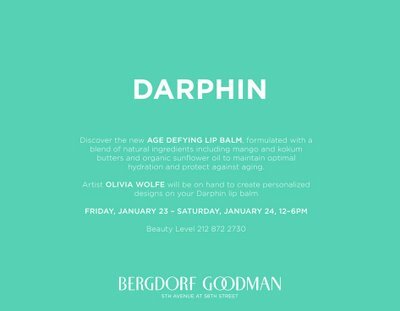 Darphin is launching their new Age Defying Lip Balm ($40) and it’s being previewed at Bergdorf on Friday, January 23rd and Saturday, January 24th at the Darphin counter on the Beauty Level of Bergdorf Goodman. 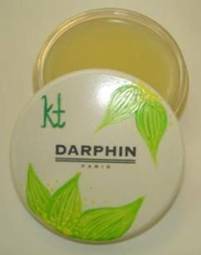 Customers who scoop up the lip balm at the preview will be able to have it hand painted with floral designs and their name/initials by local artist Olivia Wolfe, compliments of Darphin. As someone who simply ADORES anything personalized, I LOVE this news. And? Since this is a lip balm your friends are guaranteed to try and swipe from you, the monogramming will keep those sticky-fingered friends at bay. 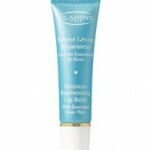 The Age Defying Lip Balm smells delish with its warm vanilla scent, and boasts an incred texture I’d compare to my all time favorite lip balm, La Mer’s The Lip Balm. It’s a great base for lipstick but also naturally matte on its own. Jim, are you listening? Jim’s on an eternal quest for the ultimate non-glossy balm. I think this one’s it! Weekly Phenom List: What to Pair with your Smoky Stare? 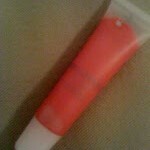 Clarins HydraQuench Moisture Replenishing Lip Balm: I’m Just That Into You. ← Shobha’s 2-for-1 Bikini Sale! I’m so there and I’d like my initials on it. Thanks Amber! Too bad I’m not in New York for this event. 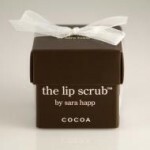 I would love to have this lip balm. I like anything with a vanilla scent. I wish I was in NY for this! I love Darphin. what a great bonus to have it hand painted. I love it! !